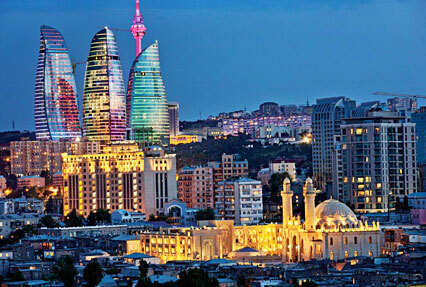 Baku, the capital city of Azerbaijan is the potpourri of various cultures. The Baku tour is one of the best ways to enjoy the juxtaposition of the old and new offered by the city. Surrounded by the massive brick walls on all sides, is the ancient Old city whereas several urban attractions and modern skyline adorn the new one. During the 4 nights’ tour, you will be exploring Baku, Old Baku, Gabala, Gobustan National Park and many more. Plan a trip and create awesome memories. Upon arrival at the Baku Airport, clear immigration and complete the customs formalities. Thereafter, meet our tour representative who will help you with comfortable transfer to one of our listed hotels. After relaxing for a while, get ready for exploring Baku. 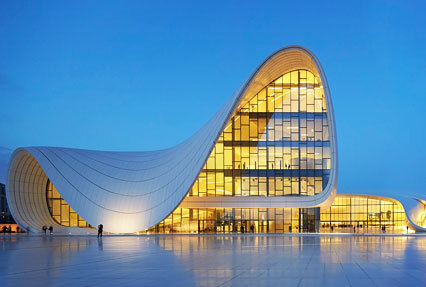 Reckoned as one of the most beautiful cities of the world, Baku is replete with various attractions. The first stop of the sightseeing tour is Upland Park, where you can go for a cable car ride to the highest point in Baku while enjoying breathtaking views of the city. Next, proceed to Flame Towers. The trio of skyscraper consists of a hotel, apartments and office blocks. The last stop of the day is the small town in Baku, the Little Venice, which is one of the most romantic places. After your trip, relish a Ferris Wheel Dinner at an Indian restaurant. Start your day with a hearty breakfast. This is followed by Old Baku sightseeing tour. The first stop of the day is the Maiden Tower. Titled as a UNESCO World Heritage Site, it comprises the Palace of Shirvanshahs, museum which tells tales of the historic revolution of the city and more. Moving on, the Old Bathhouses grab your attention with picturesque architecture. Also check out the Miniature Books Museum that preserves a collection dating to post-revolutionary Russia and Soviet period. Also, marvel at Azerbaijani carpets, rug items and materials from various periods at Carpet Museum. Take a break for a delightful lunch at one of the Indian restaurants in the city. Lastly, take a look at the Heydar Alivey Center famed for its unique architecture, designed by an Iraqi-British architect. Move on for shopping at the central malls in Baku. Satiate your hunger with dinner at an Indian restaurant. Day 3 of the Baku tour starts with delicious breakfast. Subsequently, you will be transferred to the Gabala. After reaching, delight in a day trip to a wonderful city. First pay a visit to the Tufandag Winter Summer Complex, a perfect place to relax in the lap of nature as well as try your hands at extreme sports and tourism activities. Delight in a visit the Shooting Club that prepares the athletes for the national teams of Azerbaijan in boxing, shooting, taekwondo, karate, judo and soccer. Do not miss to indulge in thrills of Gabaland (Azeri Disneyland) Entertainment Center. Take a break for your lunch, after which you can take a trip to the Nohur Lake surrounded by the pictorial Caucasus Mountains. End the day with a sumptuous dinner, after which you can return to the hotel for an overnight stay. Relish an appetizing breakfast at the hotel. 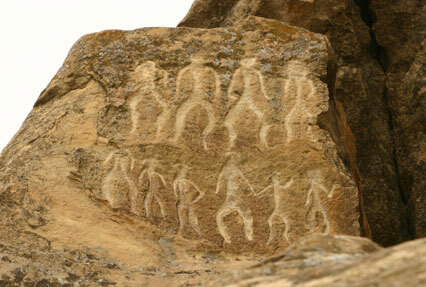 Thereafter, proceed towards the Gobustan tour. The first attraction will be the Gobustan National Park, a national historical landmark of Azerbaijan, which is home to various archeological monuments. Marvel at the Gobustan Rock Art Cultural Landscape, a UNESCO World Heritage Site, which is a home to astounding rock carvings and petroglyphs. 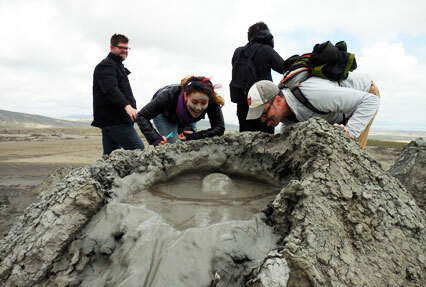 Move on to visit a unique wonder, the mud volcanoes as half of the world’s 700 mud volcanoes are nestled in Azerbaijan and present a sight to behold. You can visit the mud volcanoes here upon request. Following your sightseeing, stop for lunch at an Indian restaurant. Later, head towards the Ateshgah which has a unique natural eternal flame. Known as the ‘Fire Temple of Baku’, the castle-like religious shrine was a place of worship for Hindus, Sikhs and Zoroastrians, as per ancient inscriptions. The next stopover is at the Yanar Dag or the Burning Mountain which truly depicts its name. Call it a day after a gala dinner at the restaurant. Post having dinner, get acted transfer to hotel for an overnight stay. Start the day leisurely as it’s the last leg of the tour. After breakfast, check out from the hotel. Enjoy your lunch at the restaurant upon request. 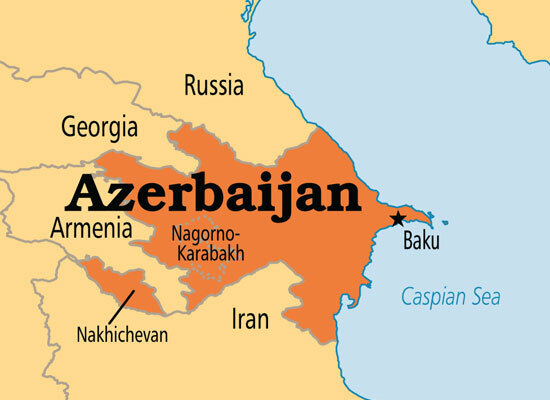 Thereafter, you will be transferred to the Baku airport.